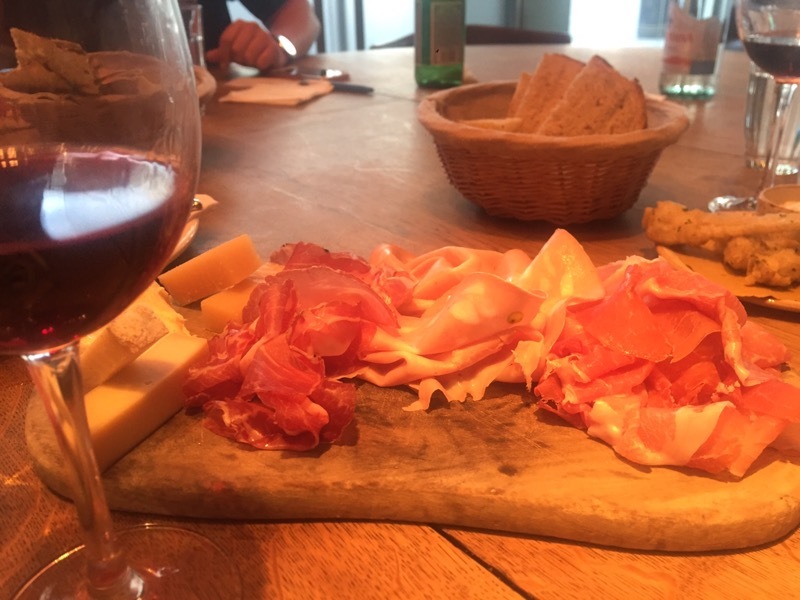 Tozi in Pimlico have recently put a spotlight on biodynamic and natural Italian wines they feature on their wine list. 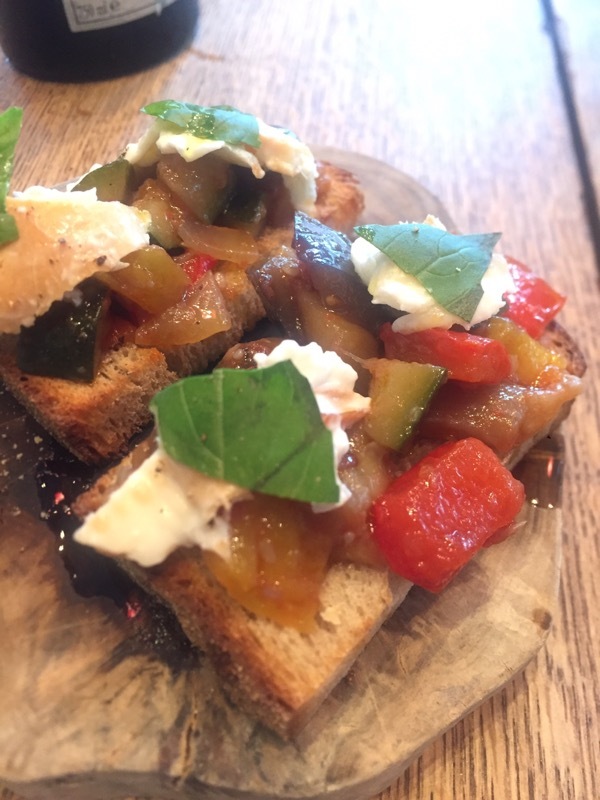 Tozi is a Venetian -Italian restaurant that focus on small plates of Italian food or ‘cicchetti’, as it’s known in the Veneto region. The biodynamic and natural wine movement has always been quite popular in Italy and some of the pioneers of the movement in general are Italian. As so many of them are Italian, Tozi has teamed up with Pasione de Vino, a specialist in natural, biodynamic and organic wines to offer some of their more interesting wines to diners at Tozi. 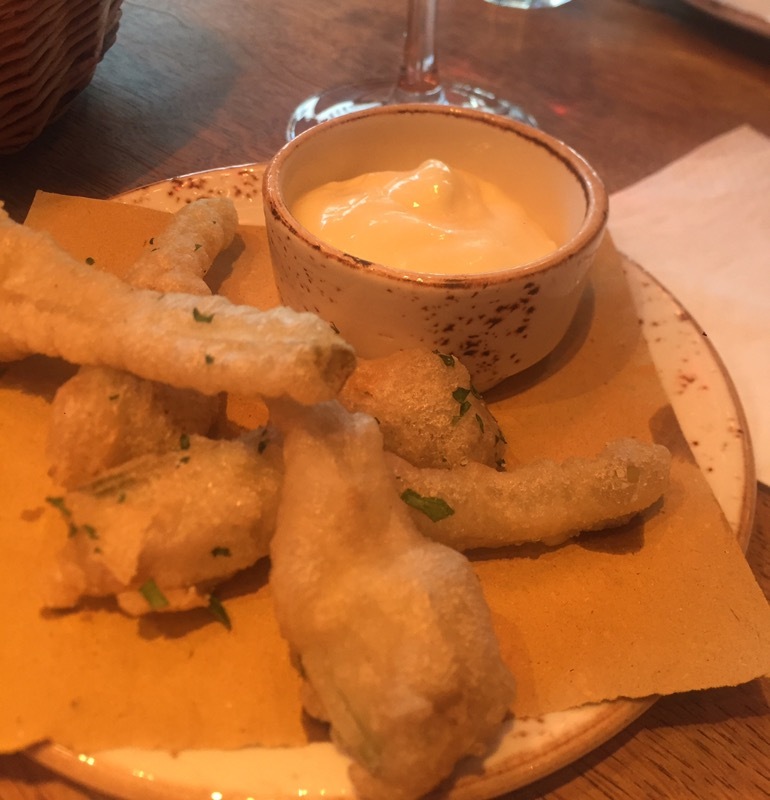 I went along one evening to try out some of the newbiodynamic and natural wines on the list, along with a few ‘cicchetti’ that were paired with the wines. When I’m looking for something light and bubbly, uncomplicated and just plain ‘quaffable’, I might turn to prosecco. 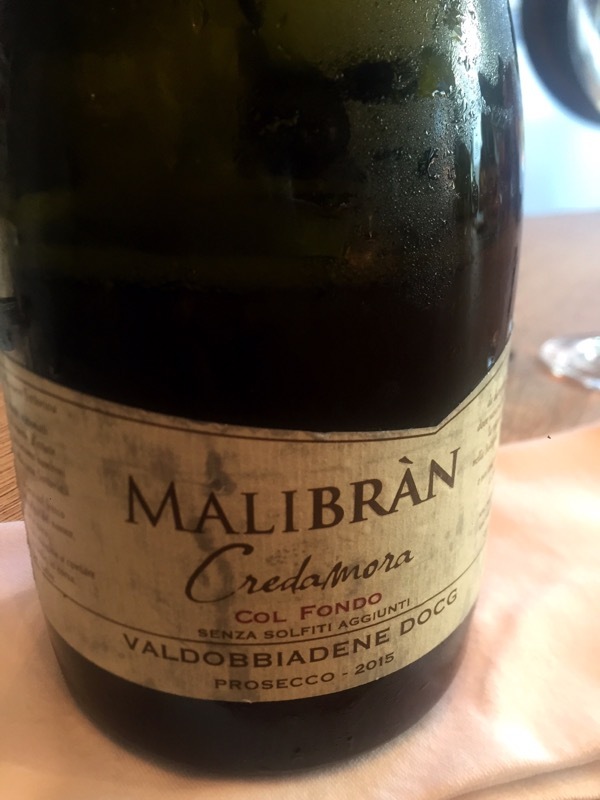 Well, the Malibran, Prosecco di Valdobiadene DOCG “Credamore” (Veneto) Prosecco will make you banish all thoughts of prosecco as being light and frivolous. Cloudy yellow in colour with very few bubbles, this ain’t your Nonna’s prosecco. The term, ‘Col Fondo’ means it’s been left on the lees. The wine has also not had any dosage or disgorgement – it’s made in the ‘method ancestral’, this is probably what the Romans were drinking back when they had an empire. The resulting wine is very fresh and dry, made from 100% glera, with only a bubble or two to mar the surface. I liked it but don’t order it expecting a light wine, this is anything but! Orange wines have always been a bit of a mystery to me – not having loads of fruit flavours and usually exhibiting tannic structure, they are a different breed altogether. 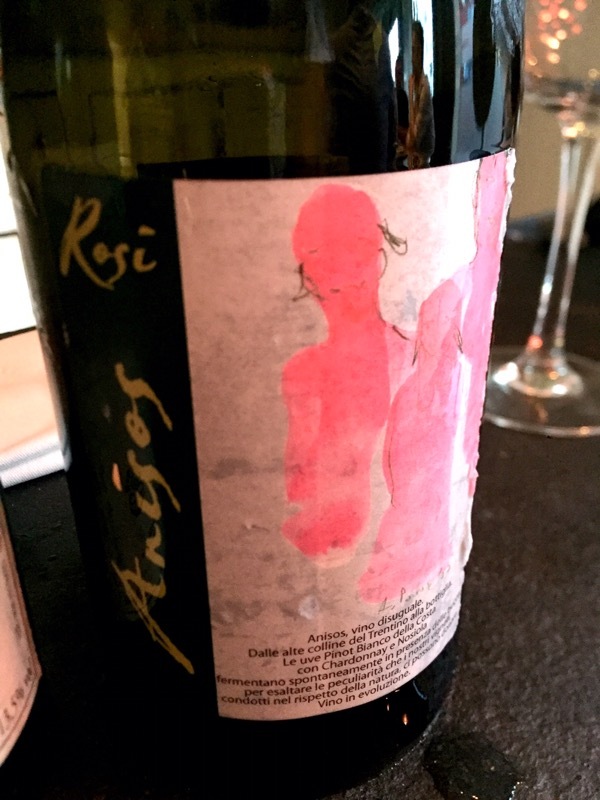 The Anisos, Vallagarina IGT, (Trentino) and is made by Eugenio Rosi, one of the most respected vignerons in Trentino. The wine is a skin contact white from Trentino and is very interesting, not least because it is made from an indigenous grape, Nozzioli along with a dash of chardonnay and pinot blanc. The musts are all vinified seperately and left for a few weeks on the skins to get the ‘orange’ colour. 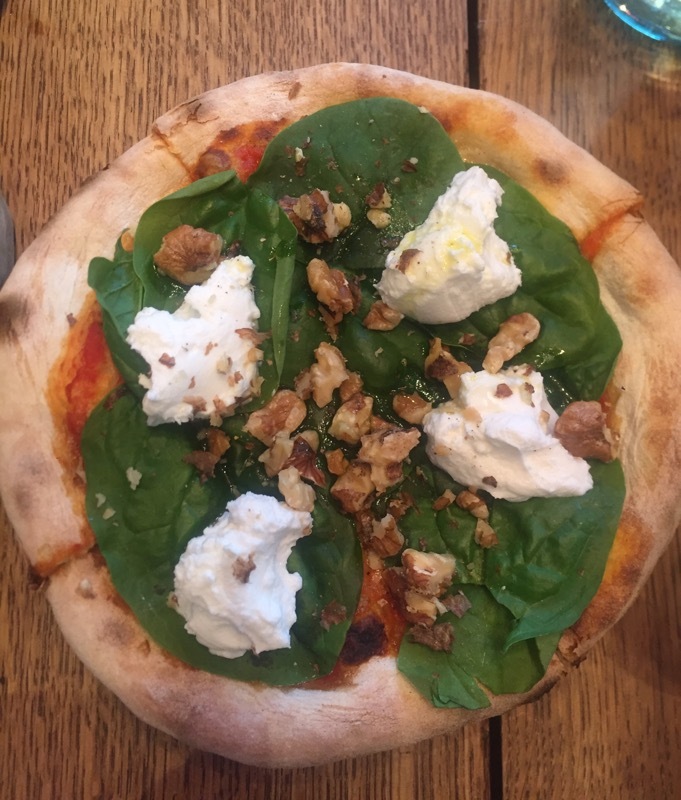 I found it to be a structued but round and creamy wine, very dry but excellent with the spicy nduja pizzetta served alongside it. Next we had a Syrah from Sicily made by crazy natural wine producer, Aldo Viola. His Terre Siciliane IGT “Cocinella” (Sicilia) was a savoury monster, full of herby ripe red fruit. Aldo basically leaves the grapes to their own devices, piling them up in a vat and then letting them press themselves with natural gravity. It might sound crazy but somehow, he’s made it work. We get a heavy full bodied wine with chalky tannins and a bitter chocolate finish but I liked it. 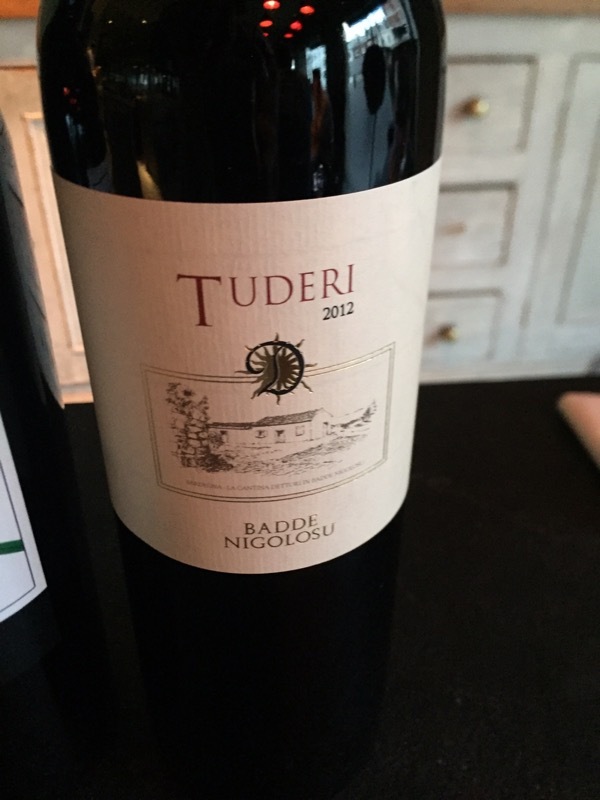 Lastly we finished with Dettori, Romangia Rosso IGT “Tuderi” (Sardegna), made from Cannonau ( AKA Grenache in France) this was a very fruity wine with good structure and a certain lightness to it. I loved it with the charcuterie as it seemed to cut through the salt and fat of the salamis. It was a delightful evening and to me illustrated how important it is to have food on hand when doing a winetasting with natural wines.